Looking to spend your golden years in a state with low taxes? 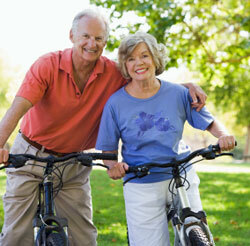 Kiplinger.com has identified its top 10 tax-friendly states for retirees. In all 10 states, Social Security benefits are exempt from state income taxes. Many of the states also don’t tax military and government pensions. Others exclude from taxes a wide variety of retirement income. Interestingly, Kiplinger.com says that although an income-tax-free state might sound appealing, the best retirement spot sometimes is a state that has an income tax but offers generous exemptions for retirement income. Kiplinger.com also recommends taking a close look at local taxes after you have narrowed your search to a few states. Municipalities can levy significant property taxes or other assessments, and local sales taxes can be an issue, too. Federal taxes will be the same every place if you claim the standard deduction. But Kiplinger.com says if you itemize your deductions, you can write off real estate taxes and state income taxes, taking some of the sting out of your federal tax bill. Wyoming, which has no state income tax, a 4 percent state sales tax and no estate tax or inheritance tax. The state exempts prescription drugs and groceries from state sales taxes. For most property, only 9.5 percent of market value is subject to tax. Mississippi, which has a state income tax of 3 percent to 5 percent, a state sales tax of 7 percent and no estate tax or inheritance tax. In addition to Social Security benefits, the state exempts all qualified retirement income – including pensions, annuities, and IRA and 401(k) distributions – from state income taxes. Pennsylvania, which has a state income tax with a flat rate of 3.07 percent and a 6 percent state sales tax. The state has an estate tax and an inheritance tax but does not tax public or private pensions or distributions from IRAs, 401(k) plans, deferred compensation plans or other retirement accounts. The state also exempts food, clothing and medicine from state sales taxes. Kentucky, which has a state income tax of 2 percent to 6 percent, a 6 percent state sales tax, and no estate tax. Kentucky does have an inheritance tax, but immediate family members are exempt. The state allows residents to exclude up to $41,110 per person for a wide variety of retirement income, including public and private pensions and annuities. Alabama, which has a state income tax of 2 percent to 5 percent, a 4 percent state sales tax, and no estate tax or inheritance tax. Retirees pay no state income tax on military, public and private defined-benefit pensions. Property taxes in Alabama are among the lowest in the nation. Homeowners 65 and older don’t have to pay state property taxes, although some cities assess separate property taxes. The other tax-friendly states on Kiplinger.com’s list are: 6. Georgia, 7. Oklahoma, 8. South Carolina, 9. Delaware and 10. Louisiana. For more information about Kiplinger.com’s top 10 tax-friendly states, click here.